NEW YORK: The NY City Council’s Sanitation Committee began its hearing Monday on a possible ban on plastic foam food containers. The Council is also believed to be exploring the prospects of effective recycling techniques to treat expanded polystyrene foam containers. The bill introduced by the NYC Mayor Michael Bloomberg claims to address a major environmental issue, as the PS foams are not easily bio-degradable and takes years to get decayed in landfills. 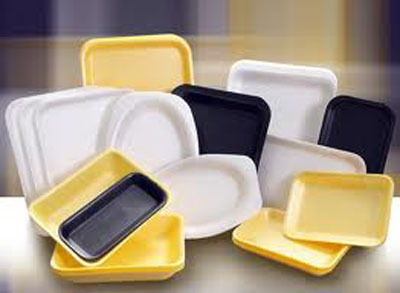 The city’s recycling facilities currently are not equipped to processing PS foam products, which the restaurants mainly use for packaging food items. The city residents by throwing the PS foam products along with plastic recyclables actually hamper the activities of recycling vendors who in turn are forced to segregate the PS foam products by hand. The restaurant owners and business group however claim that the ban would badly affect the small businesses. The PS foam products are considerably cheaper than other market alternatives. Instead of imposing a ban, the City should introduce efficient recycling of PS foam products. They quote the example of Los Angeles where PS foam recycling is mandatory. Michael Bloomberg will be leaving office by the year-end. However, the Mayor-elect Bill de Blasio stated Monday that he also supports the PS ban proposal.According to statistics, nearly 23,000 tons of plastic foam is thrown out per year in New York.